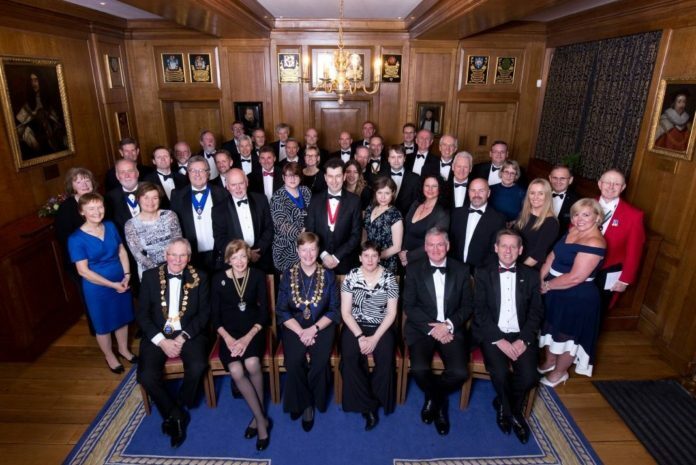 Held at The Honourable Society of Gray’s Inn, 50 guests joined President Tracey Richardson for a special dinner last month, celebrating her year in the institute’s most coveted position. The dinner was attended by prominent figures from organisations serving the plumbing and heating industry, with Kirstie Donnelly MBE, group managing director of City & Guilds, as guest speaker. Richardson opened her speech by thanking Donnelly for her thought provoking and kind words and then headed straight into her own passion for education, touching on the introduction of the new Plumbing & Domestic Heating Technician (Trailblazer) Apprenticeship. Richardson, who will continue in her role as president until the CIPHE’s AGM in June, finished her speech by touching on some of the activities she’s really enjoyed as national president, such as meeting staff and students at CIPHE approved training centres. She then thanked all of those who have supported both herself and the institute in her presidential year.